We've all heard stories of younger job seekers winning jobs over older job seekers. The bias against the older work force is typically bogus, but can be hard to overcome. And younger folks supposedly require less salary, too. 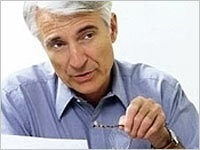 My question to you, the older and wiser job seeker, is: Are you leveraging all your assets in an interview? A new study, shared in an article by Daily Mail in the United Kingdom, shows that "Brain scans had identified four brain regions that contribute to wisdom. The elderly have more activity in these regions than the young, which results in their wiser judgments... Scans also showed the brain never lost the ability to grow." Now I'm not suggesting you should print out the results of the study and plop it down on the interviewer's desk. But you should relate how in difficult decision-making situations you have, time and time again, led a team in a good direction. There are thousands of jobs that require experience -- real-world experience including technical know-how, but also business process and problem-solving. The salary range for the position has likely been set before the interviews began. Some applicants might be able to settle for the low end of the range. You might require the top end. There's probably not a large difference between the two. Your goal is to convey what the company will get for the extra investment. As I always say, talk with examples. Don't say "I've had great success leading projects." Talk about a project in detail where you've had "great success." Another mistake older workers make in interviews is to make age a part of the discussion. Interviewers cannot bring this subject to the table -- it is discrimination to talk about your age. Older workers sometimes feel the need to say, "I have a long career path still ahead of me." It is better to talk in terms of goals for your career that dovetail with the position and/or direction of the company. If you talk about long-term goals you still plan to achieve -- ones that require true dedication and hard work -- the interviewers will start to view you as someone who will be around for a while. There's a subtle difference, but a positive one. With experience comes knowledge. With knowledge comes wisdom. The older, wiser work force has a lot to contribute to the success of our companies. Make sure you remind the world of this.